The Harry Potter series are what first got me into reading. It was a book I couldn't put down. I wanted to deviate from the rich illustration style of the then present book covers and create something more minimalistic. I hoped to represent the intricacy and depth of plot and characters of the book with a detailed yet minimalistic illustration. 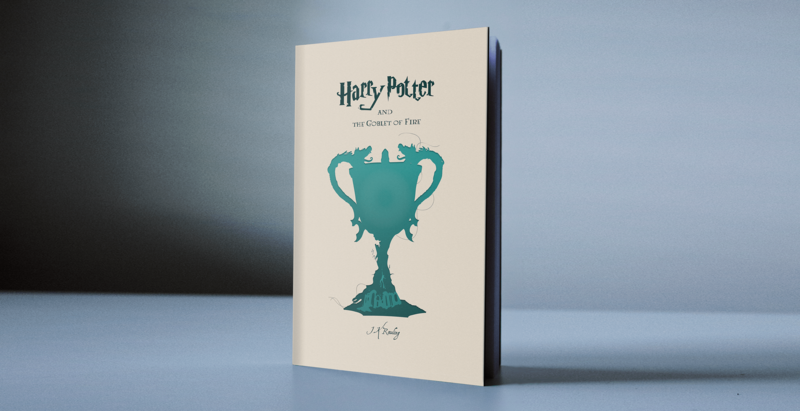 The Triwizard Cup represented the turning point in the book - when it turns out to be a Portkey, and Harry is taken to the graveyard where he finally meets Voldemort. I hence used the silhouette of the cup as the main icon. 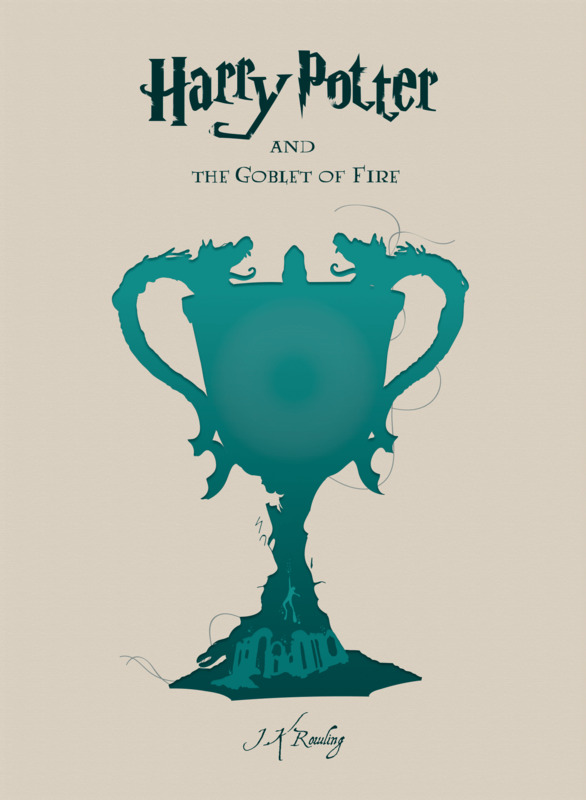 Using the gestalt principle of figure/ground I then incorporated the three tasks of the Triwizard Tournament in the silhouette of the cup.